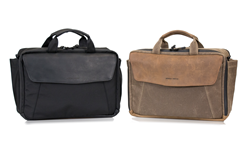 WaterField Designs unveils the collaboratively-designed Air Porter and Air Caddy carry on bag duo: a modular system to enhance convenience and comfort for the airline traveler. The feature-rich Air Porter slips over a wheeled suitcase handle and fits efficiently under an airline seat, and the Air Caddy keeps frequently-used items within easy reach in the airline sea-back pocket. 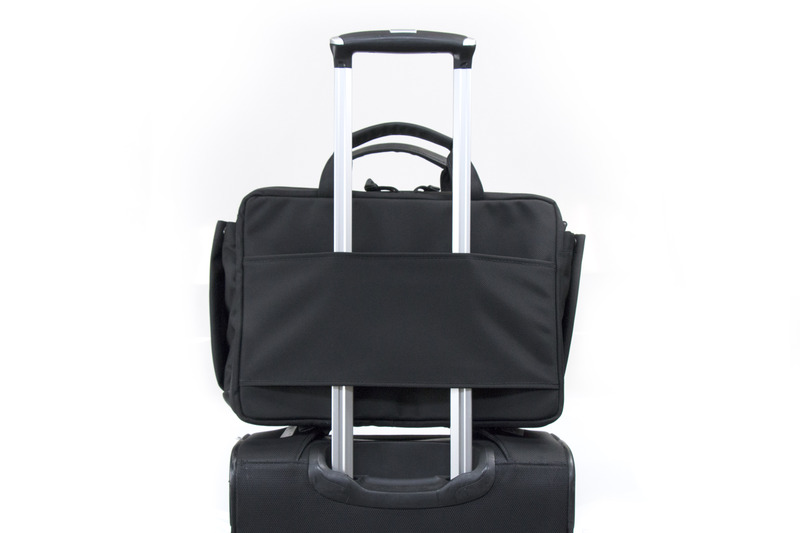 The Air Porter and Air Caddy work as a modular system, helping travelers on long or short flights stay productive and comfortable. 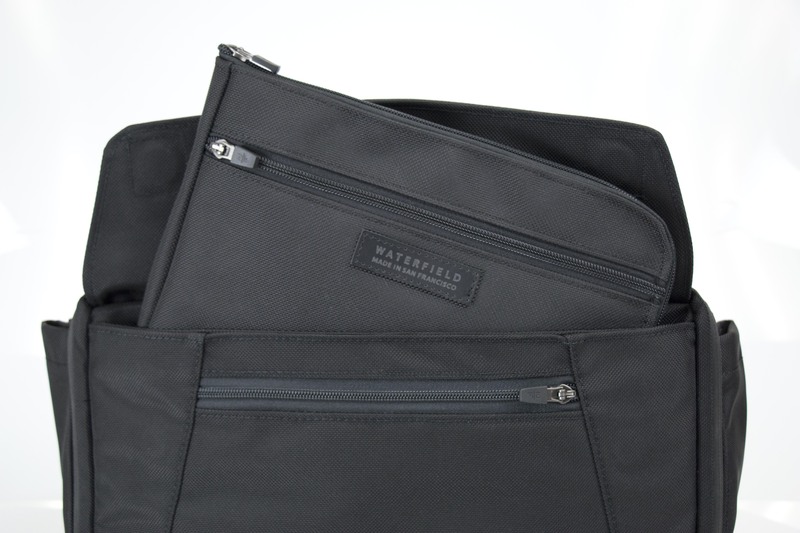 In collaboration with customers and seasoned travelers, San Francisco maker WaterField Designs set out to create the preeminent carry-on system to improve the experience of frequent fliers. 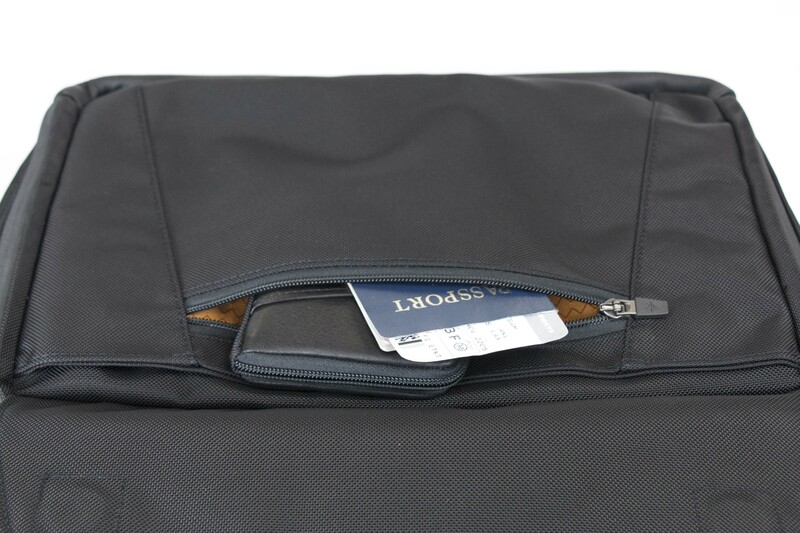 The resulting feature-rich Air Porter travel bag and Air Caddy duo facilitates in-case laptop charging, accelerates time through TSA security, and maximizes in-flight leg room while maintaining easy access to essential tech, travel and personal items. Available in tan waxed canvas or black ballistic nylon, each with premium leather accents, the sophisticated Air Porter moves easily from the airport straight to a professional meeting. 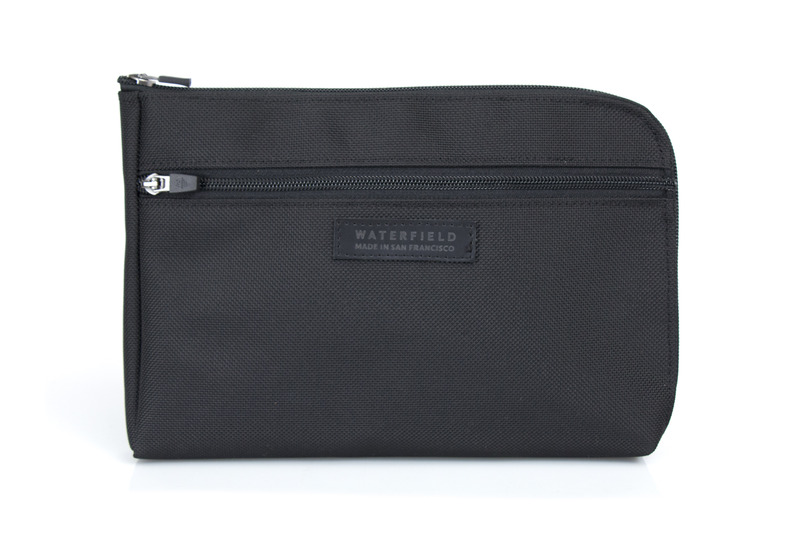 The Air Porter is a handsome multi-compartment carry-on bag to organize everything needed during a flight. 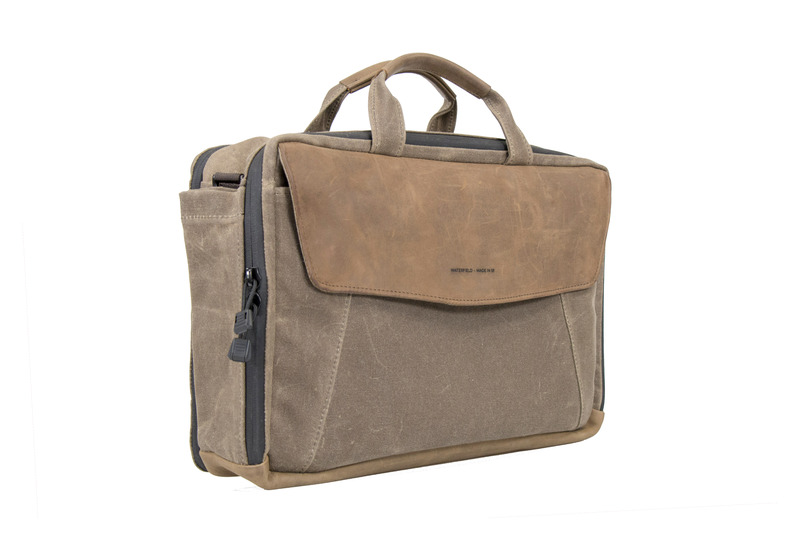 Travel-friendly features include a built-in, padded laptop sleeve sized for up to a 15-inch MacBook Pro with Touch Bar, plenty of carefully-thought-out pockets, and three carry options: dual handles for a briefcase look, a suspension shoulder strap for carrying messenger style, and a wheeled-suitcase handle pass through for a hands-free carry from curbside to airport gate. The slim, TSA-friendly Air Porter stands on its own under an airline seat leaving ample leg room while maintaining significant capacity for tech items (laptop, phone, chargers, cords, headphones), personal items (wallet, books, toiletries) and travel documents (passport, tickets). 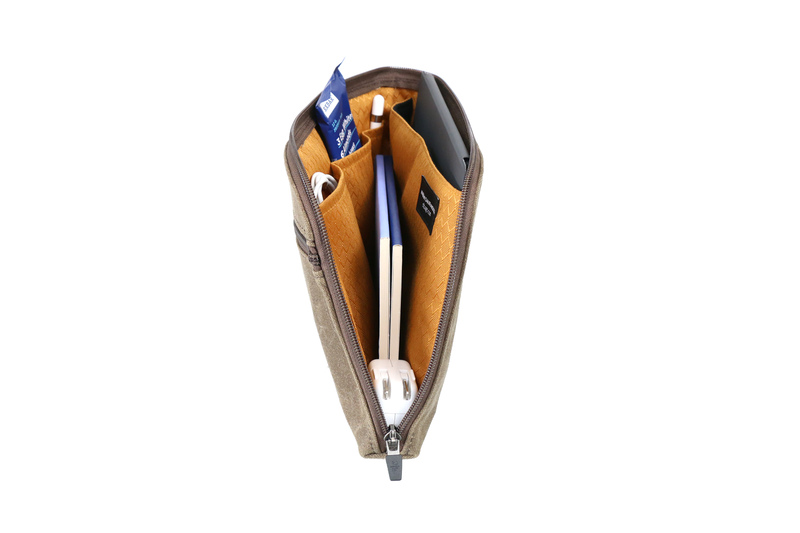 The coordinating Air Caddy zippered pouch is designed with pockets to hold the accessories air travelers need to access easily while seated, such as a smartphone, pen, iPad, book, glasses and snacks. The Caddy is designed to fit into an open-topped front pocket under the Air Porter’s leather flap during transport and transferred to the airline seatback pocket for convenient in-flight access. Slim and stands upright under airline seat leaving ample legroom. 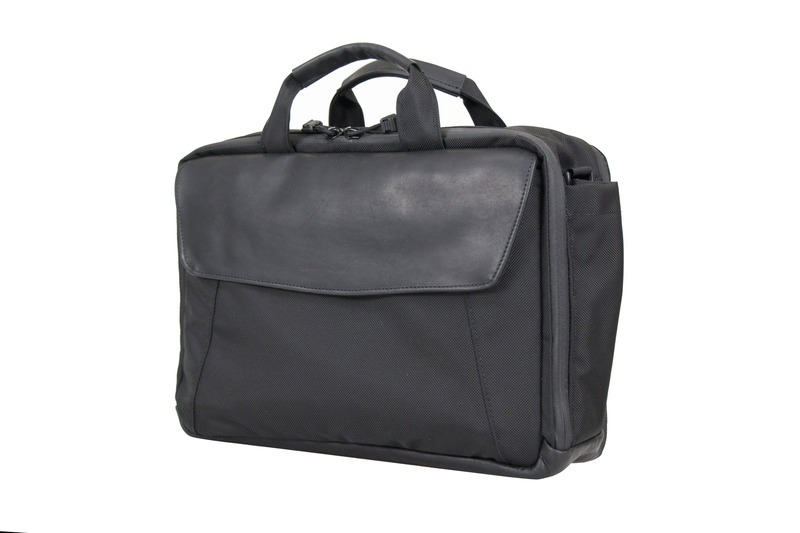 Dual main compartments keep tech and personal items separated. Waterproof exterior zippers and water-resistant lining help block the elements. 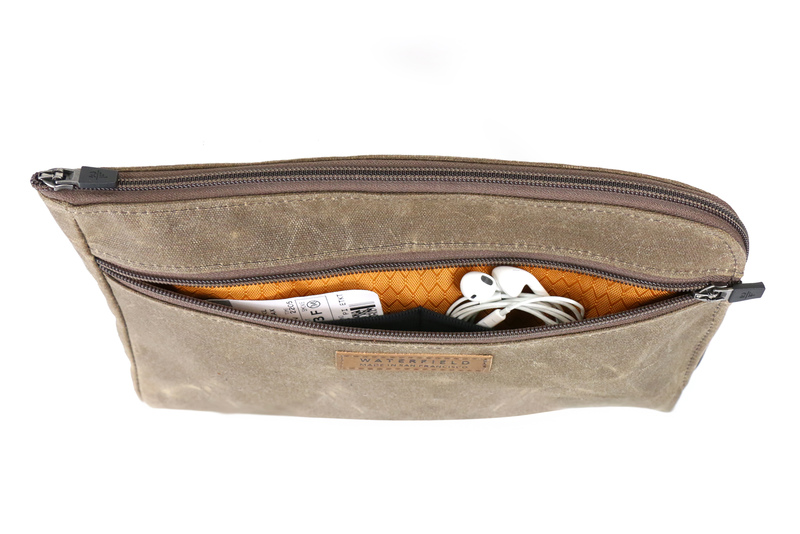 Zippered pocket under front leather flap grants quick-but-secure access. 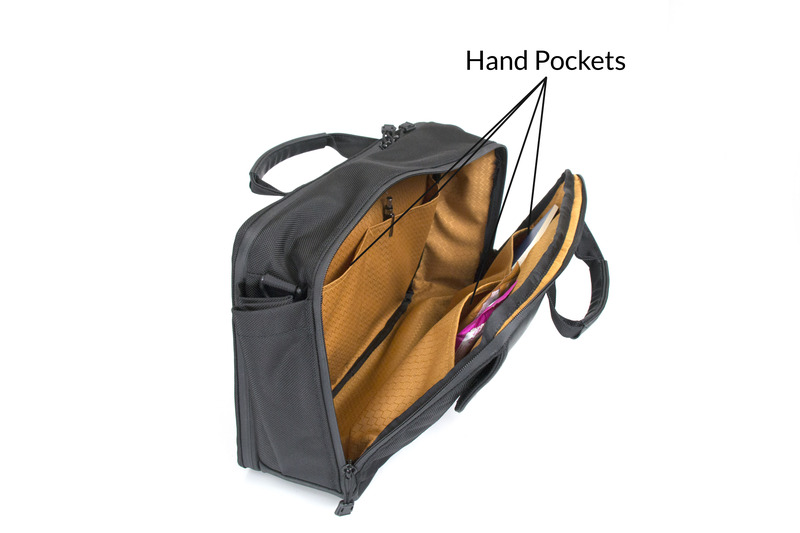 Leather flap closes with magnets at two settings allowing front pocket to be fully or partly packed and remain secured. TSA-friendly laptop-sleeve compartment opens flat; dual handles facilitate quick grab after TSA screening. 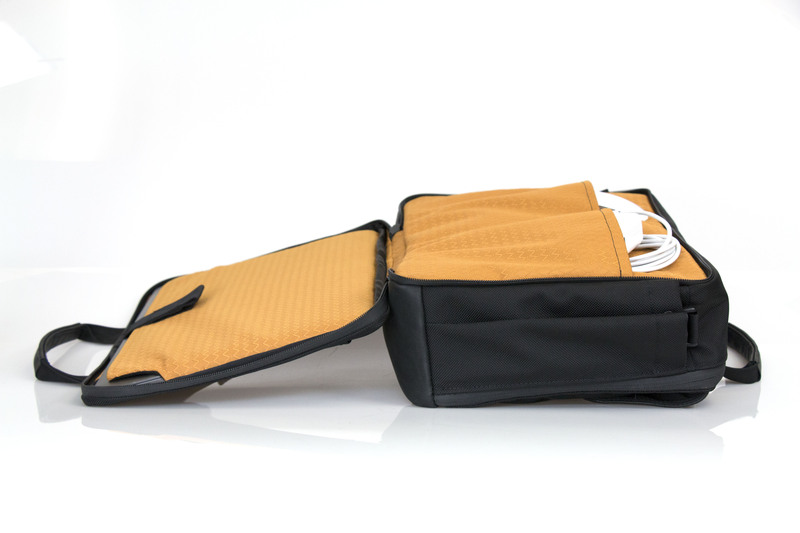 Padded laptop sleeve with corner cut-outs permits laptop charging while inside case. Water-bottle/umbrella pockets snap closed when not use in keeping bag svelte. Interior key fob stores home keys for easy recovery after a long return flight. Colors: Black ballistic nylon with oil-tanned, full-grain black leather; tan waxed canvas with naturally-tanned, distressed, full-grain grizzly leather. Dimensions & weight: 15 x 10.25 x 4.5 inches; 2.4 lbs. 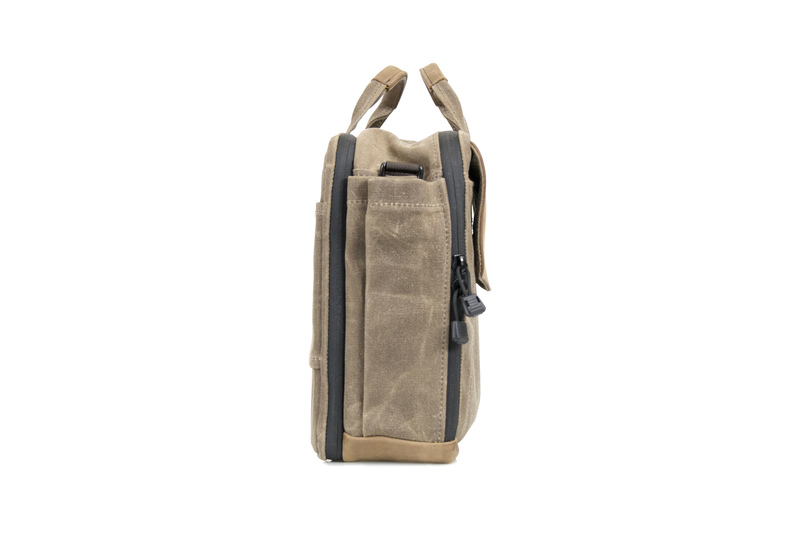 Colors: Black ballistic nylon; tan waxed canvas. Dimensions & weight: 12 x 7.25 x 1.25 inches; 5 oz. Pre-order today. Shipping begins September 1, 2017. 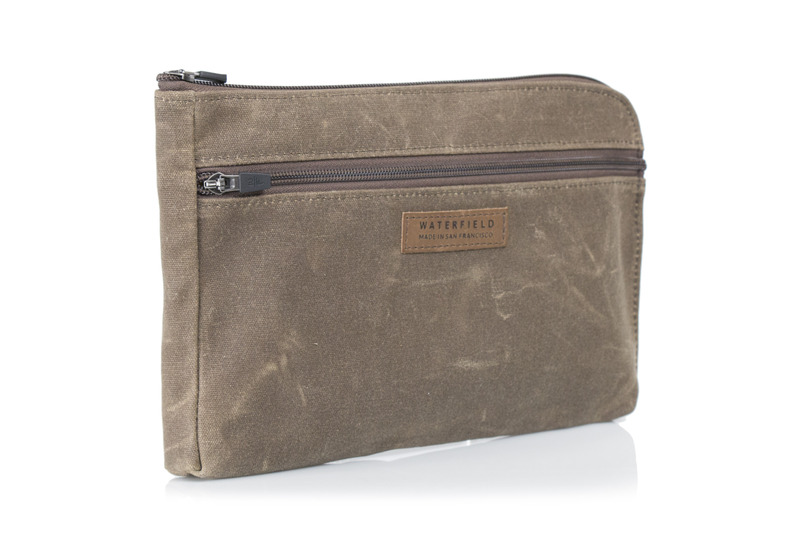 WaterField Designs, Air Porter and Air Caddy are trademarks of WaterField Designs. Other company and product names may be trademarks of their respective owners. Copyright ©2017. All Rights Reserved.